It’s almost impossible to categorize the sound of Traedonya Chequelle. 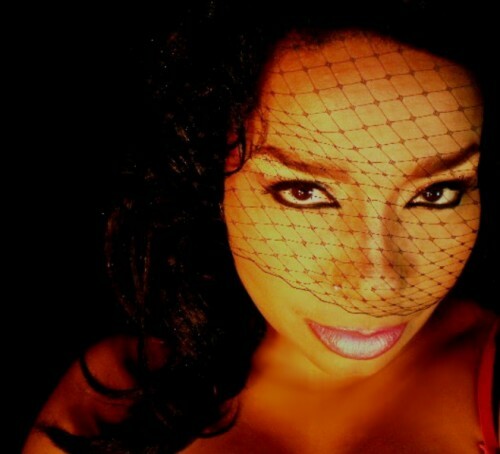 She is a seasoned music business veteran that seamlessly blends R&B, Jazz, Hip Hop, and Funk into her work. Affectionately known as “The Bride of New Funk Hipopera”, TRAEDONYA! has touched listeners around the world. 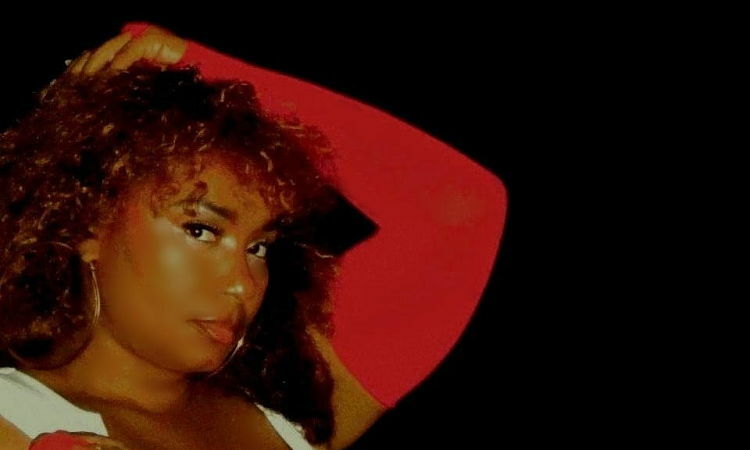 The North Carolina-born, New York-bred singer-songwriter has been contributing her to voice to other artist’s music for over 2 decades, but TRAEDONYA! is ready to capture the ears of fans with her own upcoming digital EP High Fructose Corn Syrup. The forthcoming project will feature a cover of Sly and The Family Stone’s “Family Affair” and her latest single “Another Lie” produced by Large Professor. DZI: The Voice interviewed TRAEDONYA! to discuss her new EP, starting in the industry very early in life, her other passion of bike riding, and more. TRAEDONYA! : I discovered my voice as an artist when I was a child. Singing for my family during the holidays and our living room get togethers or during our TV time was normal for me. I would always sing and perform in the mirror with my hairbrush. I always knew that I would sing and perform in front of lots of people when I grew up. YK: How did growing up in North Carolina and New York influence your music? T! : I call myself a country/city girl. I’m quite sensitive and in love with nature. I believe that’s my country girl side, my North Carolinian side. My slick mouthed- talking, non-emotional side comes from spending most of my teen years in New York City. I call that my city side. I grew up listening to everything from Five Blind Boys of Alabama to The Clarke Sisters to Parliament Funkadelic and The Brides of Funkenstein to Elton John. Rufus and Chaka Khan were a favorite in our house as well. My mother listened to all of the good stuff and had me listening to it as well. – YK: You’ve been recording since you were a child. What did you learn from those very early experiences as a performer? T! : Constantly working on your craft keeps you sharp. Practice is important. To give your stage performance all that you have. Even when people don’t see me out performing or have not heard any music from me in a bit, I’m always working on my craft, always doing something. Take your craft serious. YK: You studied at a jazz conservatory. What led you to incorporate other musical styles like Hip Hop and R&B into your sound? T! : The combination was not planned. I’m a true fan of music. I enjoy it all. The root of Hip Hop is Jazz, so naturally combining the sounds work well together. Vocally, my favorite female singers sing gospel and blues. I love music. It’s all a part of me. It’s how I live, soulful and emotional. – YK: Why did you decide to cover Sly and The Family Stone’s “Family Affair”? T! : We wanted to do a dedication to Sly Stone. He gave so much to music, and we thought it would be awesome to honor him. – YK: What inspired your latest single “Another Lie” ? T! : “Another Lie” was inspired by my boyfriend at the time, lying to me about his on and off girlfriend, that he told me didn’t exist any longer. I ran into her one day, while leaving his apartment. So, she stopped me while I was walking out of the building. She introduced herself and asked me if we could go some place to talk. We ended up spending that entire day talking about “our” boyfriend. Anyway, long story short, he remained with her and we broke up, even though I was still in love with him. She ended up cheating on him and leaving him for another guy, the same guy that she would tell me about, her side dude. A true learning experience for me, because I was really in love with him. I actually wrote a ton of songs from that experience. A woman hurt and scorned by love! Ouch! (laughing). The song is very personal to me. The lyrics were written by myself and the music by Large Professor. There are two versions of the song. YK: How did you first connect with Large Professor? T! : I first connected with Large Professor through a mutual friend. Our personalities clicked well, we stayed in touch and started working closely. I was already doing music, but I needed direction and insight. My mentor and friend is what he became to me. Not only is he a phenomenal producer but he’s a lovely human being as well. YK: When can fans expect to see the release of your EP High Fructose Corn Syrup? T! : The project will be out this fall, finally. YK: Will there be any other covers on the project? T! : There will not be any other covers on the upcoming project, only “Family Affair”. YK: Your single “I’ll Give It 2 U” was heavily remixed all across the world. What do you think it was about that track that resonated with so many different people? T! : The vocals and lyrics sound as if I’m speaking, singing and rhyming all at the same time. “I’ll Give It 2 U” introduced me to many DJs and remixers around the globe. The vocals are interesting and inviting. The DJs that enjoy my vocal stylings want to hear my same vocals added to what their particular party crowd and the genre they spin and listen to. The lyrics are slick as well. I’ve heard so many remixes of the song. I’m thankful that the cats from different cultures have added their take onto the tune. It’s awesome! YK: What other artists are you listening to right now? T! : I’m listening to a lot of different music. It depends on how I’m feeling that day. My different playlists consist of Shirley Bassey, Boy George, Wiz Kalifa, Gucci Mane, Neek The Exotic, Kaleena from Dirty Money, Prince, the one and only DMX, Aretha Franklin, New Birth, Rolls Royce, Shameeka Copeland, Lil Jon, Usher, Ladell McLin, Snoop Dogg, Snoop Lion, Sergio Mendez, Large Professor, Kanye West, Fre8 Kargo, Rihanna, New Birth, Damian Marley, Elton John, Earth Wind and Fire, Lil Kim, Rusko, Benga, Train, Pet Shop Boys, Lady Saw, 2 Chainz, King Louie, Seal, Barrington Levy, D’Angelo, Fantasia and more. I’m not only a musician, I’m a music fan as well. How I feel and my mood determines what I vibe to. I take my playlists serious. YK: You’ve said that you love bike riding. What’s the longest bike ride you’ve ever taken? T! : I love bicycle riding. It’s a joy for me. New York City has now made bicycle lanes through the city and other boroughs. I have taken several long distance rides, here and abroad while traveling. My longest ride though, would have to be riding from The World Trade Center to The Bronx Zoo round trip. That’s about 44 miles. I had an awesome time riding. It was crazy. I own a really cool fold up bike that I take full advantage of. – YK: What’s next for TRAEDONYA!? T! : My highly anticipated High Fructose Corn Syrup project will be out shortly. It’s been pushed back several times, because we keep adding and removing songs. The High Fructose Corn Syrup is an introduction to my full length album, which is completed. This is my first collection of songs on one project. My past projects have been singles and remix projects, so I’m popping my cherry, so to speak. 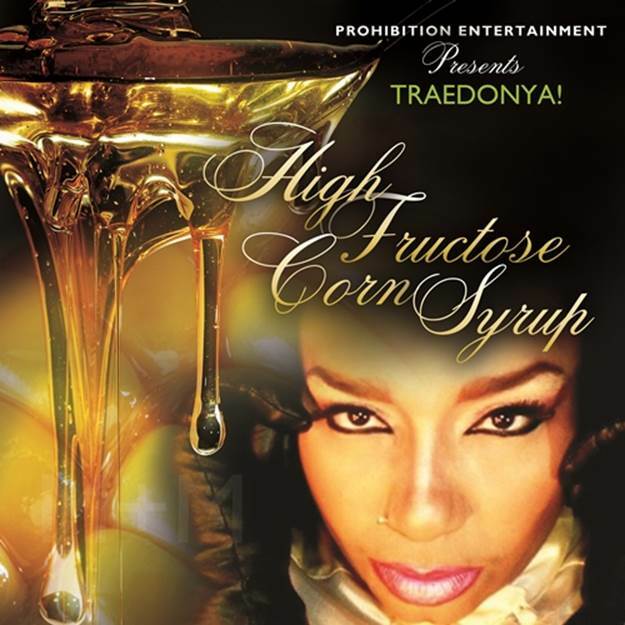 High Fructose Corn Syrup is a very dope project. I hope that folks love it the way that I do. People that don’t know my story, nor my journey, think that I have just somehow popped up. It’s so weird to me. I’m thankful for the new music lovers that are getting to know me and my sound. In saying that, we have produced a film that will follow a small bit of my trajectory as a solo performer. The film shows me on and off tour in the U.S. and abroad, the hard work, my day-to-day life and the folks that make things happen behind the scenes. The folks that give their blood, sweat and tears to the “TRAEDONYA! Experience”. We have been working on it for quite some time now. The film is called The Journey. It will accompany my full length album. I want people to know that I didn’t just pop up like some instant pop corn or instant soup. I’ve been working on my career for a while and building brick by brick. Dig it. I’m constantly working on my skills, adding to my repertoire and learning more. People will be seeing a lot more from me. Another LieFamily AffairHigh Fructose Corn SyrupLarge ProfessorThe JourneyTRAEDONYA! Loved Traedonya’s “Family Affair” video.